POLSON — Ally Mae Paulson was born Sept. 25, 2017, at the Nesting Place in Providence St. Joseph Medical Center. She was 21 inches long and weighed 8 pounds, 5.2 ounces. Ally’s parents are Kaitlyn Kackmann and Glen Paulson of Bigfork. Maternal grandparents are Joyce and Ray Kackmann. Paternal grandparents are Karen and Griff Paulson. Paternal great-grandparents are Linda and Gary Paulson and Chris and Dale Vendenbos. POLSON — Cordell Enzo Ashley was born Sept. 18, 2017, at the Nesting Place in Providence St. Joseph Medical Center in Polson. He was 18 inches long and weighed 5 pounds, 16 ounces. Cordell’s parents are Becky Ashley and Jeremy Nelson of Pablo. Cordell has a brother Hartlin. Maternal grandparent is Dorene Bourdon. Paternal grandparents are Debbie Mc- Cauley and Dayrel Nelson. Paternal great-grandparents are Jeannie and Wayne Mc-Cauley. POLSON — Freya June Hinrichs was born Sept. 29, 2017, at the Nesting Place in Providence St. Joseph Medical Center. 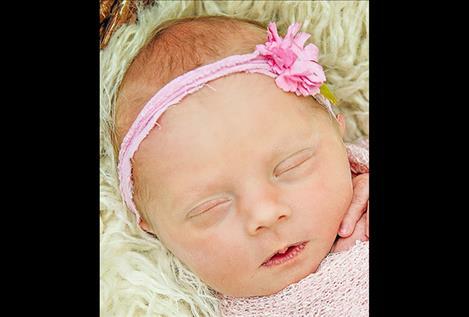 She was 19 and one-half inches long and weighed 6 pounds, 11 ounces. 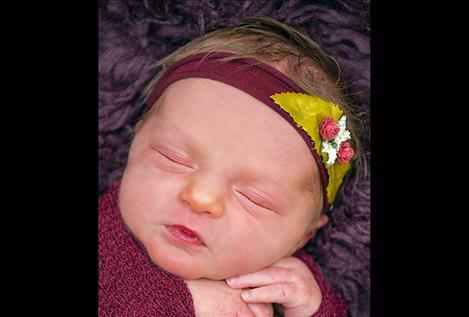 Her parents are Meagan Dunkerson of Polson and Matthew Hinrichs of Post Falls, Idaho. Freya has a sister, Lisibeth. POLSON — Jayce Zavior Moran Thompson was born Sept. 18, 2017, at the Nesting Place in Providence St. Joseph Medical Center. He was 19 and onehalf inches long and weighed 7 pounds, 5 ounces. His parents are Alisha Bartell and Tyler Moran. Jayce’s siblings are Levi and Harmony. Maternal grandparents are Pam and Daniel Thompson. Maternal great-grandparents are Terry Boldra and James Thompson. Paternal grandparents are Ann-Marie and Shawn Moran. Paternal great-grandparent is Mona Moran. POLSON — Shalayla, Lei Lani and Aria Wetherington welcome baby sister Milah PatsyLin Weatherington to the Wetherington home. Milah was born Aug. 3, 2017, at the Nesting Place in Providence St. Joseph Medical Center. She was 19 inches long and weighed 7 pounds, 2 ounces. Her parents are Elizabeth Burley and Steven Wetherington. Maternal grandparents are Patsy Burland and Rodney Burley. Paternal grandparents are Amy Welty and Steve Wetherington. Paternal great-grandparents are Marge and Howard Welty. 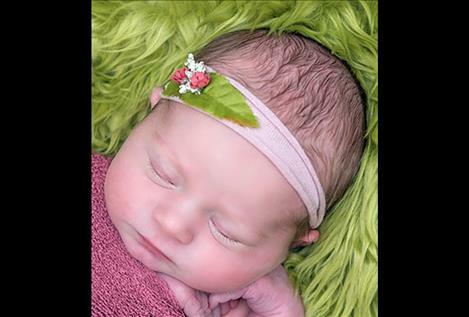 POLSON — Liam John Jackson is excited to announce the birth of sister Renleigh Marie Jackson. She was born July 30, 2017, at the Nesting Place in Providence St. Joseph Medical Center in Polson. Renleigh was 19 inches long and weighed 6 pounds, 2 ounces. 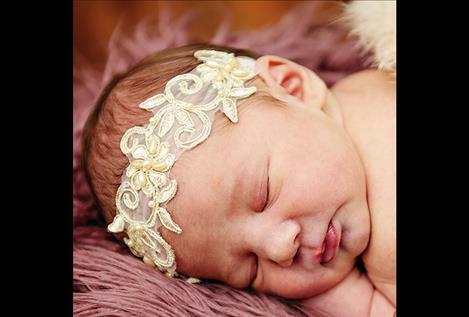 Her parents are Jamie Olson and Casey Jackson of Ronan. Maternal grandparent is Kay Emmert. Paternal grandparents are Sue and Brian Palmer and Keith Jackson. Paternal great-grandparent is Toni Mitchell. 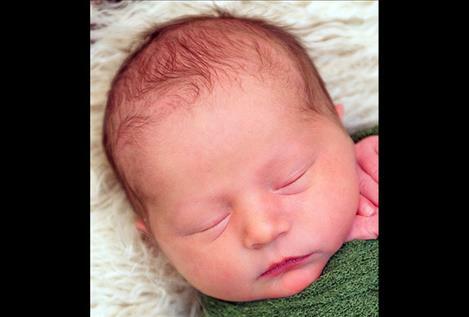 POLSON — Tien and Tarynn Tagle are excited to announce the birth of brother Tayven Tyler Tagle. He was born Sept. 15, 2017, at the Nesting Place in Providence St. Joseph Medical Center. 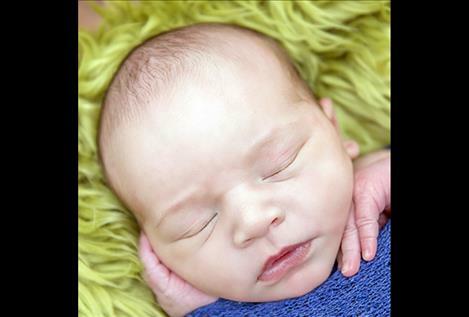 Tayven was 20 and three-quarter inches long and weighed 7 pounds, 6 ounces. 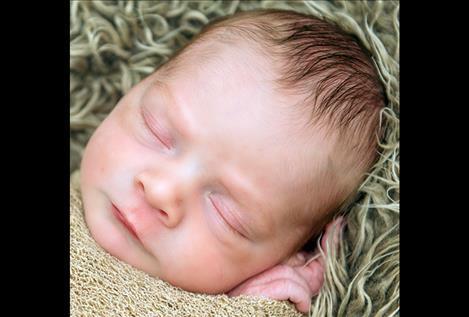 His parents are Brittany and Tyler Tagle of St. Ignatius. Maternal grandparents are Tricia and Gene Dally. Maternal great-grandparents are Jewell Doty and Randy Doty. Paternal grandparents are Phyllis Espinoza and Richard Tagle. Paternal great-grandparents are Rita and Talburt Roy.